sculpting with the draw brush using the anchor, drag or drag dot stroke types will not create new polygons in dyntopo mode. if the stroke type is changed to space, airbrush or line, dyntopo works as expected and will create new detailed polygons. set brush texture to something. 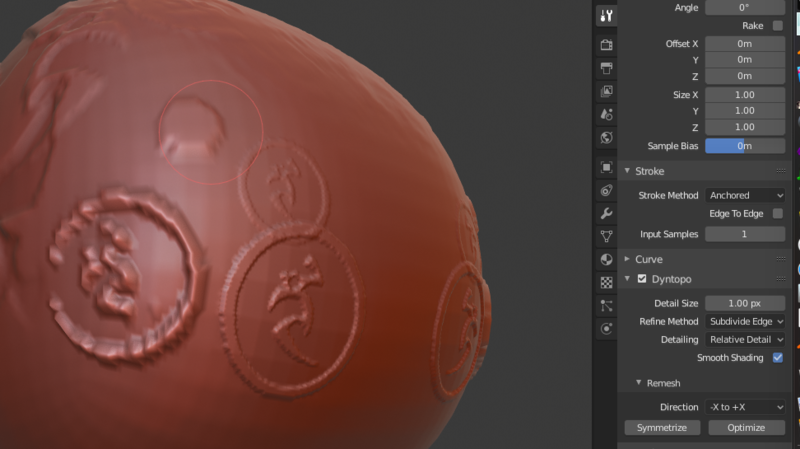 activate dyntopo and set detail size to 1. Dynamic topology is intentionally disabled for these options in the code. It might be good to improve the code to support cases, but it's not considered a bug.